Polyaniline (PANI) nanorods were prepared by a chemical method in the presence of HNO3 as an acid dopant. 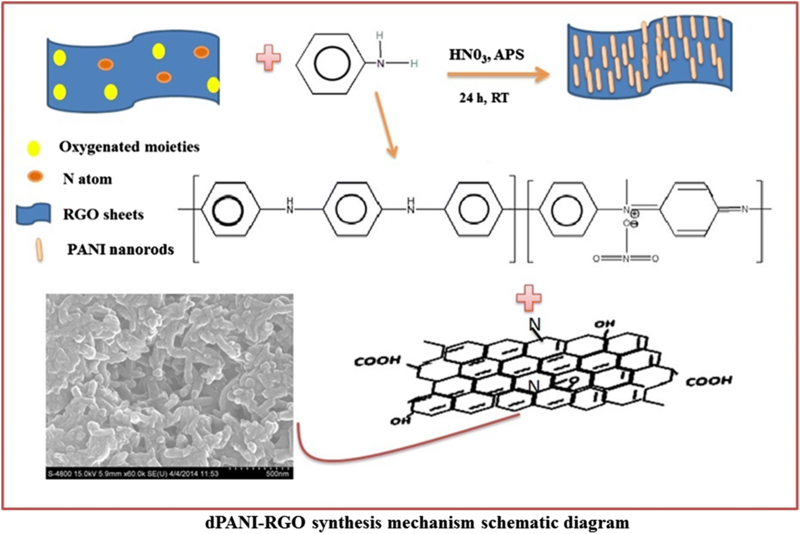 Reduced graphene oxide (RGO) sheets were synthesized and used as a substrate for the polymerization of PANI, affording the PANI–RGO nanocomposites. The PANI composites with RGO were synthesized in the presence of dopant (dPANI–RGO) and without dopant (PANI–RGO). A comparative study was performed for RGO, PANI, dPANI, PANI–RGO and dPANI–RGO. The nanocomposites were characterized by XRD, FESEM, FTIR and TGA. XRD study showed that the dPANI–RGO is more crystalline in nature. The FESEM studies revealed that longer polyaniline nanotubes can be obtained on RGO sheets in the presence of RGO with HNO3. FTIR results show a greater extent of formation of quinoid units in the presence of both HNO3 and RGO, while benzenoid units show this effect only with HNO3. TGA results showed successful incorporation of RGO sheets with the enhanced thermal stability of dPANI–RGO as compared to dPANI. The electrochemical behavior of dPANI–RGO was also investigated. In the presence of RGO and HNO3, longer polyaniline nanotubes grow on RGO sheets forming a continuous network for electron transfer resulting in low charge transfer resistance for dPANI–RGO (3 Ω) as compared to PANI (29 Ω), which ultimately improves the electrochemical performance of the nanocomposites as a supercapacitor electrode material. The dPANI–RGO nanorods exhibited a specific capacitance of 563 F/g and good cycling stability up to the 5000 cycles with 84% specific retention at 0.5 A g−1. Miss Rini Jain is thankful to the Department of Science & Technology (DST), New Delhi for providing an INSPIRE fellowship. Prof. Satyendra Mishra is thankful to the UGC, New Delhi for providing a BSR Faculty Fellowship. 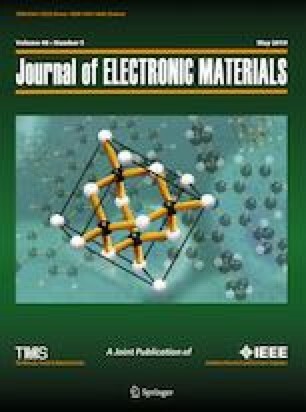 The authors are also thankful to Dr. Dhammanand Shirale, School of Physical Sciences, NMU (Jalgaon) for electrochemical measurements.